Product information "HI901C - Low Cost Color Titration System - Potentiometric (pH/mV/ISE)"
Focus on your most essential titrations and get high-quality results with our HI901C automatic titrator. Titrate for a variety of measurements including acids, bases, redox, and selective ions. With no additional programming upgrades to purchase, you can start measuring right away. Each titrator can store up to 100 customizable methods of analysis to accommodate any of your different samples or procedures. If lab space is scarce, our titrator doubles as a benchtop meter for direct pH, redox, and ion selective measurements. 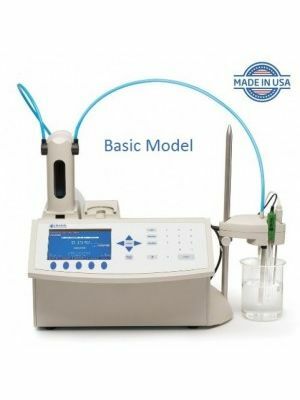 Our autotitrator is configurable to your needs. Contact us at 6296-7118 for more information. Our exchangeable Clip Lock™ burette system helps you conveniently separate and switch between your reagents so you don’t have to be concerned about cross-contamination. Be confident in your results. Our unmatched 40,000 step piston driven dosing pump is capable of dosing extremely small and highly accurate volumes of reagent, helping you achieve a very precise endpoint. A dynamic dosing algorithm allows for timely and accurate titration results by providing larger doses near the beginning of a titration and smaller, more precise doses near the titration endpoint. ISE Range 1•10?? to 9.99•10¹? 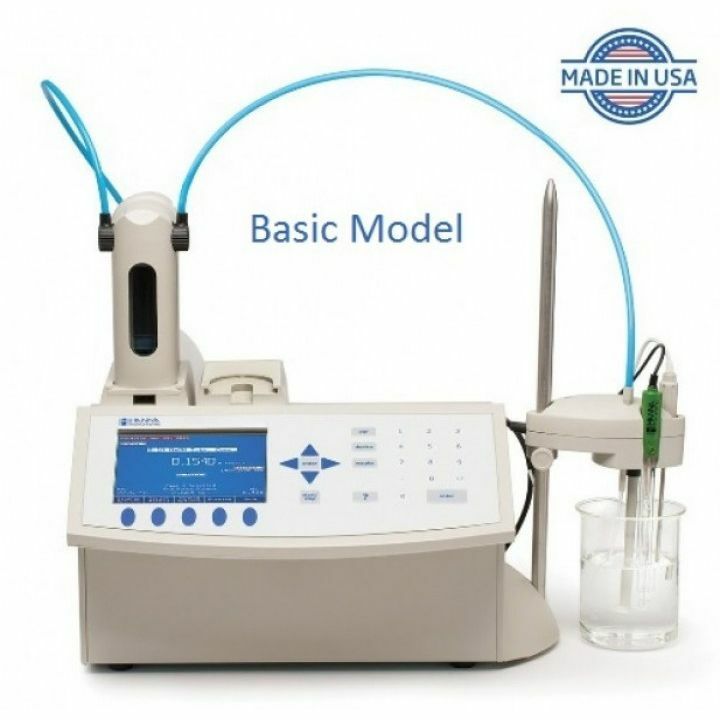 Ordering Information HI901C1 includes titrator with one analog board, overhead propeller stirrer with stand, 25 mL glass burette, dosing pump, temperature sensor, USB cable, 256 MB USB flash drive and PC software. HI901C2 includes titrator with two analog boards, overhead propeller stirrer with stand, 25 mL glass burette, dosing pump, temperature sensor, USB cable, 256 MB USB flash drive and PC software. The 901C is customizable and does not come with an electrode. Please contact Hanna Instruments for a free consultation so we can best meet your needs.